Based in Gooding, Idaho, Ballard Family Dairy & Cheese creates award-winning cheeses such as Idaho White Cheddar, Truffle Salt Cheddar, Pepper Cheddar, Baby Swiss, Danish Pearl (Gouda style), Jersey Dream (Feta style), Idaho Golden Greek Grilling Cheese (Halloumi style), and cheese curds in seven flavors. The dairy was founded in 2004 and makes cheese in small, handmade batches to ensure the finest quality and richest taste for consumers. The milk used comes from a herd of 100 rbST-free Jersey cows. Ballard Cheese has invested heavily in efficiencies and sustainability while ensuring quality and freshness remain priorities for the company. It was recognized for environmental stewardship at the U.S. Dairy Sustainability Awards in Washington, DC in 2013. Visit www.ballardcheese.com for more information. Founded in Brewster, Ohio, in 1965 by John and Fritz Leeman, Brewster Cheese employs about 330 people at three manufacturing facilities in Brewster, Ohio; Stockton, Illinois; and Rupert, Idaho. Brewster produces a wide variety of cheese for slicing, including Swiss, Aged Swiss, Baby Swiss, Reduced Fat Swiss, Kosher Lacey Swiss, and Kosher Gouda. The company also produces Kosher Cheese for manufacturing with options including Cheddar, Mozzarella, Provolone, and skim milk cheese, as well as whey products like WPC 34, lactose, liquid whey concentrate, and liquid calf milk replacer. Brewster is Kosher and Halal certified as well as BRC food safety certified. 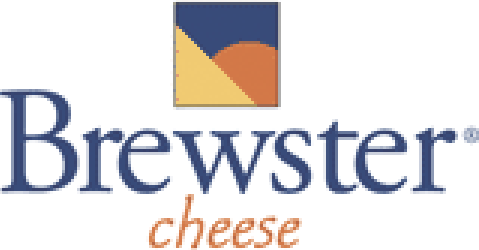 Visit www.brewstercheese.com for more information. CEO Hamdi Ulukaya founded Chobani, America’s number-one Greek yogurt brand, in 2005. The company opened the world’s largest yogurt plant in Twin Falls, Idaho in 2012. The state-of-the-art facility covers 1 million square feet and is home to Chobani’s Global Research and Development Center. Chobani is committed to using milk from regional farms and strengthening its surrounding local economies. The company gives 10 percent of its annual profits to charities worldwide through its charitable foundation. Please visit www.chobani.com and www.facebook.com/chobani for more information. Cloverleaf Creamery uses an old-fashioned technique to bottle healthy, all-natural milk from its small dairy of registered, pedigreed Holsteins. Owner Bill Stoltzfus has worked in the dairy business since the early 1970s and is nationally renowned for his award-winning herd. Although the creamery opened in 2007, the dairy has produced milk since 1992. The creamery’s products range from various milk products to cream, butter, yogurt, and ice cream. Processing roughly 28,000 pounds of milk per week, Cloverleaf makes all of its products from the milk produced in its own dairy, which currently milks around 80 cows on a regular basis. Founded in 1908, Commercial Creamery Company manufactures high-quality cheese powders, specialty dairy powders, snack seasonings, dairy-based dry-sauce mixes, dairy flavors, and shelf-stable cheese pieces. Organic versions of many products are available. Its corporate headquarters, technical center, and some production are based in Spokane, Washington, with the main factory located in Jerome, Idaho. Shipping to more than 30 countries, the company’s products are renowned worldwide for their superb quality. Dairy Farmers of America is a national milk-marketing cooperative owned by and focused on more than 14,000 dairy farmer members in 48 states. The cooperative’s core business is to market members’ milk, pay them a competitive price, deliver value, and play a leadership role in the industry. Its membership in Idaho is 67 operations strong. DFA is making investments in new products, new facilities, and new ways for families around the world to enjoy what its members produce. Customers in Idaho include businesses like Chobani, Brewster Cheese, Glanbia, Sorrento Lactalis, and Dean Foods that connect family farms to family tables. Please visit www.dfamilk.com for more information. Founded in 1918, Darigold is the fifth largest dairy cooperative in the U.S. based on milk volume. Its 11 processing plants throughout the Northwest — including three Idaho plants in Boise, Caldwell, and Jerome — handle more than 8.9 billion pounds of milk annually. The company produces fluid milk, ultra-pasteurized fluid products, butter, and sour cream, as well as ingredient products like whey, bulk cream, bulk butter, buttermilk powder, nonfat dry milk powder, and whey protein concentrate. Davisco Foods, a business unit of Agropur Inc., is a global leader in whey protein processing, manufacturing the purest whey protein ingredients in the world. Founded in 1943, Davisco employs more than 500 employees at plants in Idaho, Minnesota, and South Dakota. The company maintains overseas offices in Switzerland, China, and Singapore and operates distribution centers in The Netherlands and China. Glanbia is a global nutrition company, grounded in nature and science, dedicated to providing better nutrition for every step of life’s journey. Glanbia actively serves the nutritional needs of consumers directly through a range of branded products and as an ingredient partner to the wider food industry. Headquartered in Kilkenny, Ireland Glanbia has a turnover of €3.7 billion per annum and 6,200 employees in 32 countries worldwide. Glanbia is the world’s leading producer and marketer of quality performance nutrition consumer products supporting active lifestyles. Its success as a global ingredients provider has been built on Glanbia’sexpertise in nutritional solutions supported by significant investment in research and development. Gossner Foods is a family owned and operated corporation headquartered in Logan, Utah. Edwin Gossner sought to continue his many years of cheese-making experience by forming his own company in 1966. That company is nearly 50 years old and is now one of the largest Swiss cheese companies in the United States with plants in Logan, Utah, and Heyburn, Idaho. Between the two locations, Gossner Foods has nearly 550 employees and processes milk from more than 350 dairy farm families. Six Idaho dairymen formed High Desert Milk, Inc. as a cooperative in 2001 to vertically integrate their operations. The company began producing milk powders from their Burley, Idaho facility in 2008. A 2012 expansion added the capability to manufacture butter and buttermilk powder. High Desert currently employs 110 people. Three of the largest independently owned and operated U.S. dairies joined forces to bring a new level of quality and reliability to the dairy-ingredient industry in 2009. Today, Idaho Milk Products stands alone as the industry’s leading innovator in state-of-the-art milk processing. Lactalis American Group is headquartered in Buffalo, New York, with large cheese and whey operations in Nampa, Idaho. The Nampa Lactalis plant employs more than 600 Idahoans and produces cheese and whey products made from milk primarily purchased from local and regional dairies. The Nampa facility is the company’s flagship U.S. plant and is part of Lactalis American Group, which in the United States produces some of America’s most popular cheese brands, including President, Galbani, Sorrento, Precious, and Rondelé. Beyond its leadership in cheese, Lactalis Group has demonstrated its global reach by supplying more than 600,000 metric tons of dairy ingredients worldwide. A group of Southern Idaho producers providing milk to processors in Idaho and Utah founded Magic Valley Quality Milk Producers Inc. in 1987. Over the next decade, its producer base expanded to nearly 70 members. In 1998, after Mid-American Dairymen purchased a major Utah customer that accounted for nearly 25% of the market, many Utah members decided to form their own organization. Today Magic Valley Quality Milk has 30 member farms throughout Southern Idaho and processes nearly 3 million lbs. of milk per day. It also hauls 100% of its members’ milk after forming an entity to support this effort in 2011. Things have come a long way since Ray and Marie Goldbach founded Marathon Cheese in their basement in 1952. The processor opened its Mountain Home, Idaho, location in 2007 and continues to create quality cheese. Marathon Cheese packages millions of pounds of cheese each year — customizing packaging and orders for clients. The company never competes with its clients — its one of the only cheese packagers that never sells direct to retailers, wholesalers, marketers or food service operations. Visit www.mcheese.com for more information. Northwest Dairy Association is an integrated milk marketing and processing cooperative owned by nearly 450 dairy producers, 68 if which reside in Idaho. Its marketing and processing subsidiary, Darigold, produces a full line of dairy-based products for retail, food service, commodity, and specialty markets. Darigold operates 11 processing plants throughout the Northwest — including three in Idaho in Boise, Jerome, and Caldwell — to serve its dairy farm families. Each year Idaho NDA members ship nearly one-quarter — 2.05 billion pounds — of the co-op’s total 8.9 billion pounds of milk supply from farms in Washington, Oregon, Idaho, Northern California, Montana, and Utah. NDA is the fifth largest dairy cooperative in the United States based on milk volume. Reed’s Dairy is a 160-cow producer/handler in Idaho Falls. Their processing facility bottles non-fat, 1%, 2% and whole milk in returnable half gallon plastic and glass bottles as well as disposable gallon bottles that are sold in grocery stores. They also produce a super premium ice cream, soft serve ice cream mix, mild cheddar and mozzarella cheese. The majority of Reed’s products are sold in their own dairy store and milk home delivery routes. Orders through their website have their ice cream and chocolate milk shipped all across the United States. For more information, visit www.reedsdairy.com. Stoker Farms is a milk processing plant in Burley, ID that was founded in 1943. The family-owned facility has 7 full-time employees who process around 70,000 lbs. of milk each week. Stoker receives their milk from a dairy in Jerome, ID. They bottle whole, 2%, 1% and skim milk in both the gallon and half gallon. Stoker also bottles organic milk for Organic Acres, a local organic company. Their bottled milk is sold commercially throughout the state and the region.